WoodSpring Suites offers affordable weekly stays for fully furnished studios with a full kitchen. Although many guests decide to stay with us for months, some may choose the flexible option of extending their weekly stay for additional nights. 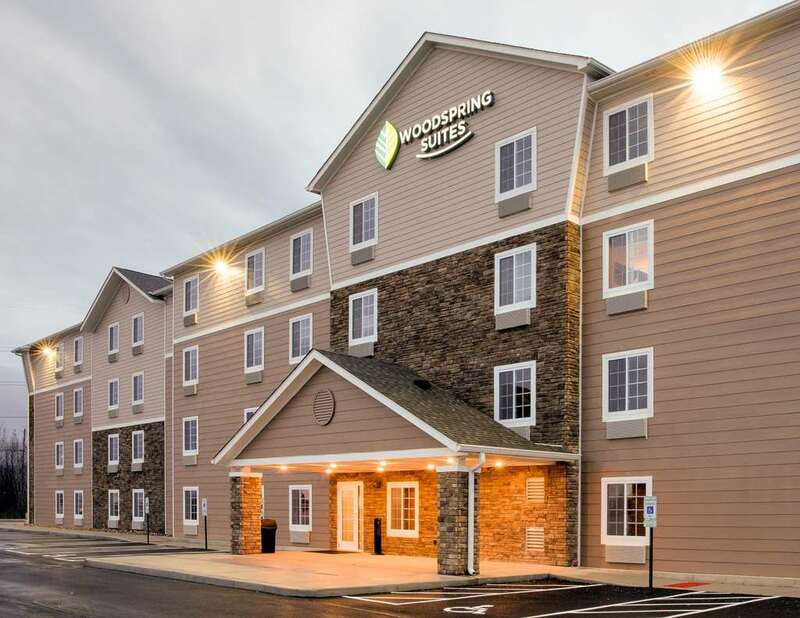 WoodSpring Suites keeps things simple by allowing you to personalize your stay. Amenities include a Fitness Center, Free Basic Wifi along with optional amenities available for purchase such as additional Housekeeping, Linen Exchange, Dish Pack and Coffeemaker. Standard WoodSpring Suites office hours are Monday-Friday 9AM-8PM, Saturday and Sunday from 10AM-4PM. You may check in after hours by using the phone in the lobby. Enjoy your stay with our Simple Done Better lodging experience. Merge onto I-70 E toward Columbus, OH. Take exit 96 on the left onto I-670 E toward airport. Exit left to merge onto I-270 North toward Cleveland. Take exit 32 onto Morse Rd. Turn left onto Morse Rd. Turn right onto Stelzer Rd. Turn right on Transit Dr.
Take I-670 E towards airport. Exit left to merge onto I-270 North toward Cleveland. Take exit 32 onto Morse Rd. Turn left onto Morse Rd. Turn right onto Stelzer Rd. Turn right on Transit Dr. WoodSpring Suites is on your left.